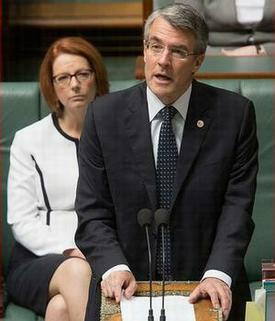 CANBERRA, Australia, May 1, 2013 (ENS) – Australian Attorney-General Mark Dreyfus will argue Australia’s whaling case against Japan in a three week hearing before the International Court of Justice in the Hague beginning on June 26. On May 31, 2010, Australia commenced proceedings against Japan in the International Court of Justice, challenging the legality of Japan’s program of “scientific” whaling in the Southern Ocean. The Attorney-General’s Department has primary responsibility for conducting this litigation. The International Court of Justice has received written submissions from both parties. Australia says the Japanese whaling fleet conducts “scientific research” in international waters that include an Australian maritime rescue zone that Canberra regards as a whale sanctuary. Japan does not recognize that claim, and says its right to conduct “lethal research” in the area is protected by the International Whaling Commission, despite a global moratorium on commercial whaling that took effect in 1986. Nevertheless, more than 30,000 whales have been killed since the moratorium came into effect. 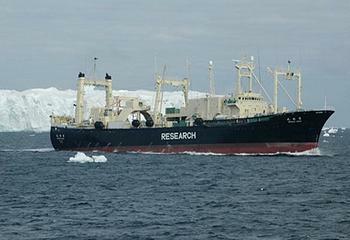 Japan began its Antarctic special permit whaling in 1987/88 and has continued to date. The original 18-year research permit for the antarctic hunt expired in 2005 and a new 16-year program, JARPA II, was developed with a permit to kill up to 935 minke whales – more than double the previous number – plus 50 humpback whales and 50 fin whales each year. To date, Japan has refrained from taking humpback whales. “Australia’s views on whaling are well known – we condemn all commercial whaling, including Japan’s so-called ‘scientific’ whaling,” said Environment Minister Tony Burke. “The Australian Government’s decision to bring this legal action demonstrates our determination to end commercial whaling,” said Burke. Minister for Foreign Affairs Bob Carr said Australia’s whaling case does not undermine the relationship between Australia and Japan. Counsel appearing in the case with the attorney-general will include Solicitor-General Justin Gleeson, Bill Campbell, Professor James Crawford, Professor Philippe Sands and Professor Laurence Boisson de Chazournes. Dreyfus said the Australian Government hopes the Court will deliver its decision on the legality of Japan’s whaling before the start of the next whaling season.